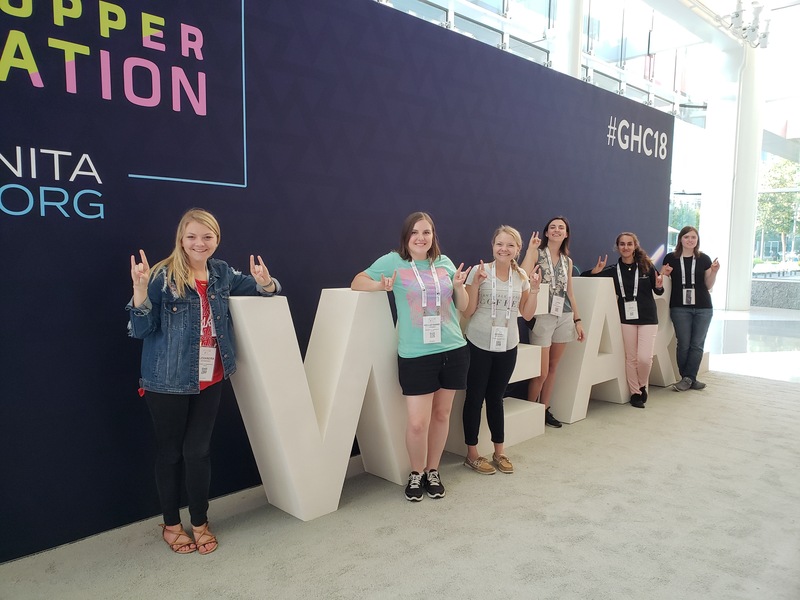 Every year, IS&T supports a number of young women from our college to attend the annual Grace Hopper Celebration. The largest gathering of women technologists, the Celebration is inspiring for everyone that attends. Here are some of the reflections of this year's event. Images courtesy of Kelley Jensen and Ally Hermanek. A group of talented young women from our college headed to Houston for this year's Grace Hopper Celebration. IS&T is able to send a number of women to the conference each year, giving this group of women an experience of a lifetime. From talking to recruiters, bonding with their fellow students, and getting to know IS&T faculty members (Sandy Vlasnik and Dr. Briana Morrison this year! ), the group always comes back to Omaha inspired. Check out some of their reflections below! There was a lot of hype leading up to the Grace Hopper Celebration. 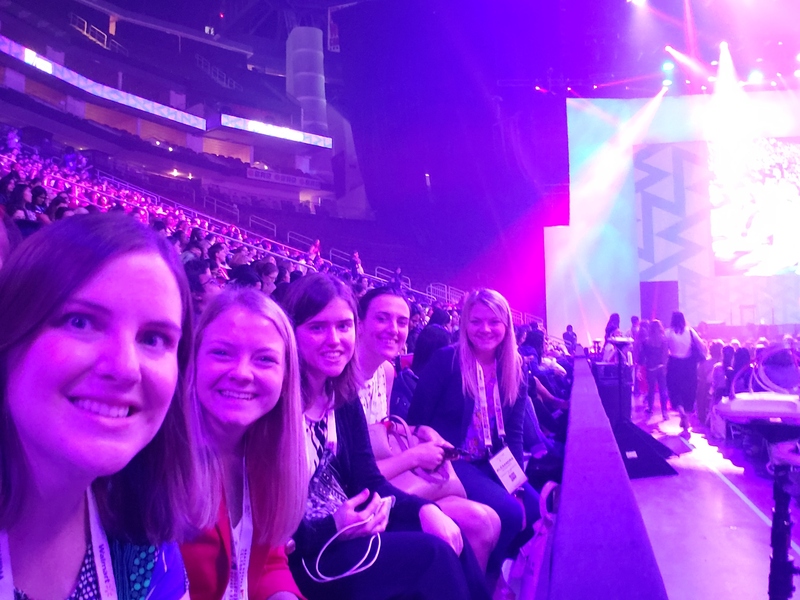 I had heard about the job offers, the friendships that blossom at the conference and continue for many years to come, and the empowering experience of being surrounded by thousands of women in technology. Yet it still exceeded my expectations. I was inspired by the speakers, encouraged by my conversations with recruiters from the industry, and happy to make new friends. 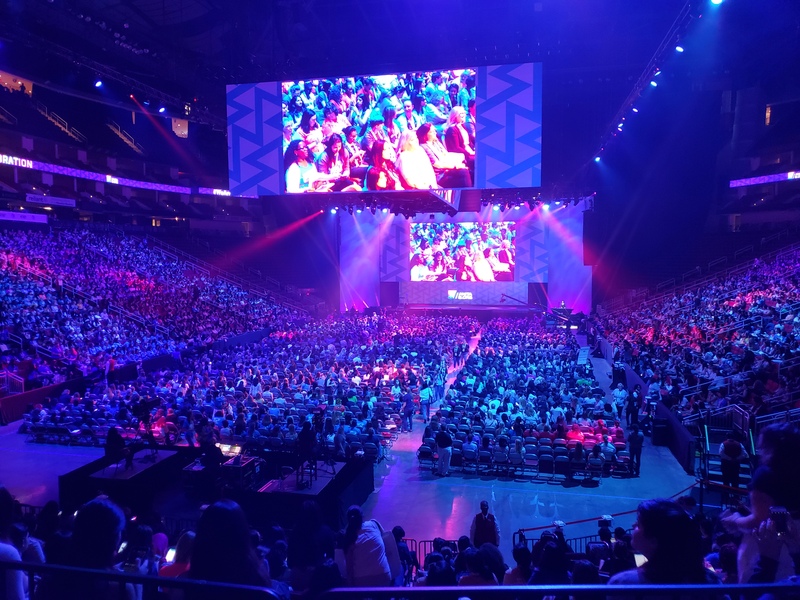 I could simply say the 2018 Grace Hopper Celebration was amazing, but that wouldn’t cut it. Our days in Houston flew by. I really enjoyed getting to know the other UNO students who accompanied me on this journey. They’re a great group of smart, talented young women. I’m happy I could share this experience with them. Grace Hopper really renewed my mind and spirit. It was inspiring to see so many women working in technical roles. In far too many of my classes I’ve scanned the room from side to side to realize there’s only one or two other girls in my class of 25 students. I’m not only motivated to work in tech but to one day be a female founder of my own company. Grace Hopper inspired me to be brave, persistent, and unapologetic. We still have a large gender gap to bridge in IT. Sometimes you feel alone, but there are many other women in yourshoes. You just have to know where to look. 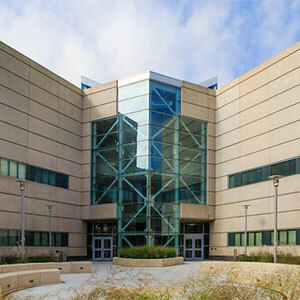 I'm very grateful for the College of Information Science and Technology for allowing me to represent them at the conference. It was an experience I’ll never forget. I really believe it changed my trajectory. One day I will start a company that brings about positive change in the world and maybe, just maybe, a young lady from UNO will see me speak at this conference in the future and be inspired. This was a very special event for me as an international student. I saw other Iranian ladies in the event and talked to them and listened to their experiences of doing internships and jobs. We are in the same situation, so I can use their experiences. For example, how differently industry and academia accept non-citizens. I talked to students from other universities. Always talking to different people will broaden out horizons. 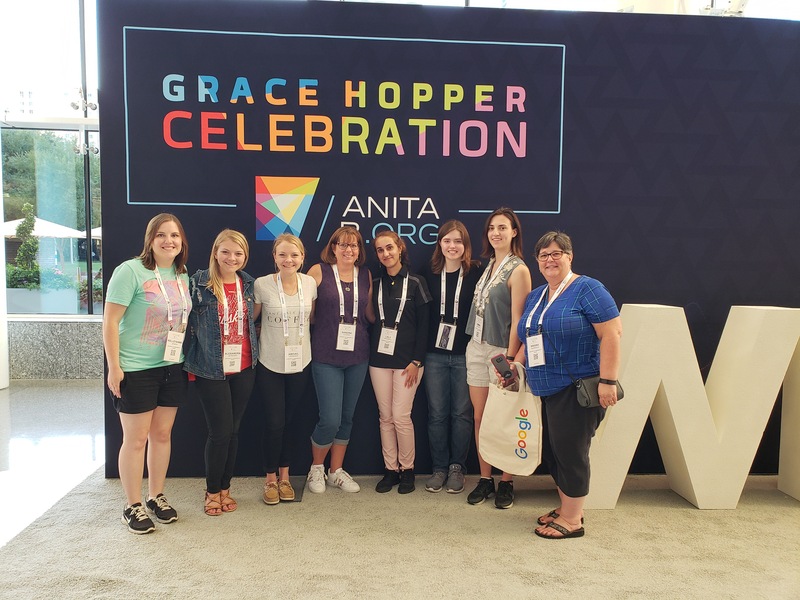 As I made my way to the 2018 Grace Hopper Celebration held in Houston, Texas, I was excited to gain new experiences and network with other students from across the globe. With this being my first Grace Hopper Celebration, I didn’t really know what to expect. I was told by previous attendees to go in with an open mind and try a little bit of everything. 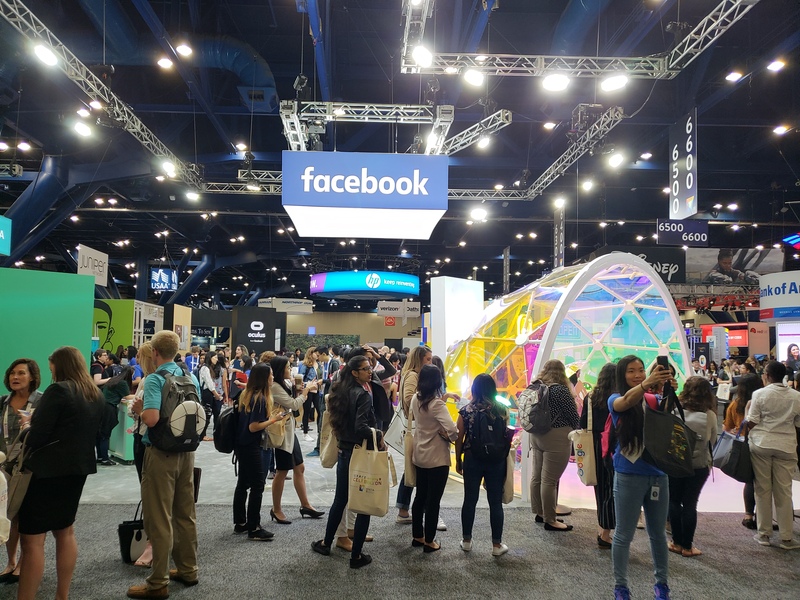 This included the career expo with hundreds of vendors, such as Google and Microsoft, to the variety of breakout sessions where you were able to immerse yourself into high-level overviews on IT subjects. Although, what I took away most from this conference was the keynote speaker presentations. One in particular that made a mark on me was a presentation gave by Jessica O. Williams, Founder & CEO of Uncharted Power. “Just because it is not your plan doesn’t mean it’s not your destiny.” This statement made by Williams, in my opinion, can be very relatable to many college students, not just IT students. As most students start college, many people are undecided on what career path they want to pursue. Some struggle with what they want to do in the future and change their major a few times. From my experience, when I started at UNO, I initially thought I was going to go down more of a business track than information technology. After taking a few introductory computer science classes, I fell in love with the idea of programming and the development of information systems. That being said, I didn’t think my plan would be to pursue a career in IT, but ultimately learned that this was something I wanted to do as a career. Upon my return to Omaha, I feel as if I am an ambassador for the Grace Hopper Celebration. I am excited to take what I learned and try to continue to make an impact here at UNO. I also hope to encourage younger, high school students to consider a degree in IT. I would highly encourage other students, if given the opportunity to attend, to make it a priority. This conference was very empowering since you, every day, are able to be in one place with that many confident women technologists.